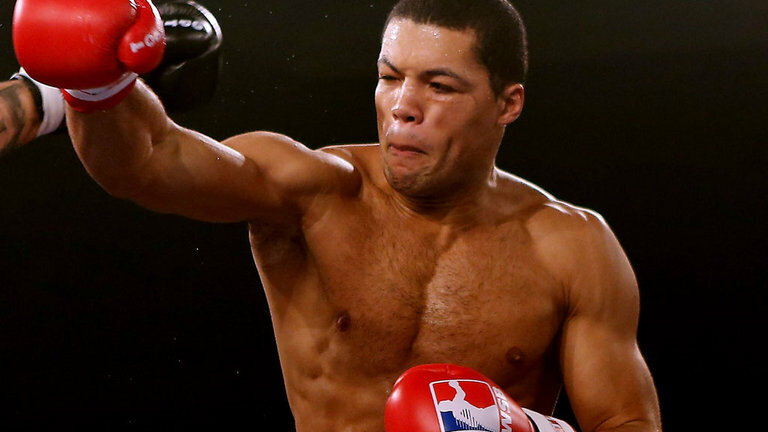 Joe Joyce has been a professional boxer for seven months and has impressed in his short career so far. Joyce has fought four times and stopped all four of his opponents. In just his fourth fight he fought for, and won the Commonwealth title against Lenroy Thomas. An achievement, Anthony Joshua didn’t accomplish until his 14th fight when he stopped Gary Cornish in round one. Manager Sam Jones believes his boxer is going to go all the way to the top. With four wins from four fights and winning his first title, his team couldn’t be happier. Jones believes there is more to come from the Putney fighter. “A bit more finesse, he’s got a bit more finesse that people haven’t seen. People have seen him like a bowler, just go in there and steam role his opponent. But in the past he’s been accused of being a slow starter. I don’t think you can really accuse him of that anymore and they say he’s a bit clumsy looking. But anybody that’s been in the ring with him knows what Joe is about and knows there in for a hard, hard nights work.